Far to the West of the Inland Seas lies a land torn by count-less wars and skirmishes. 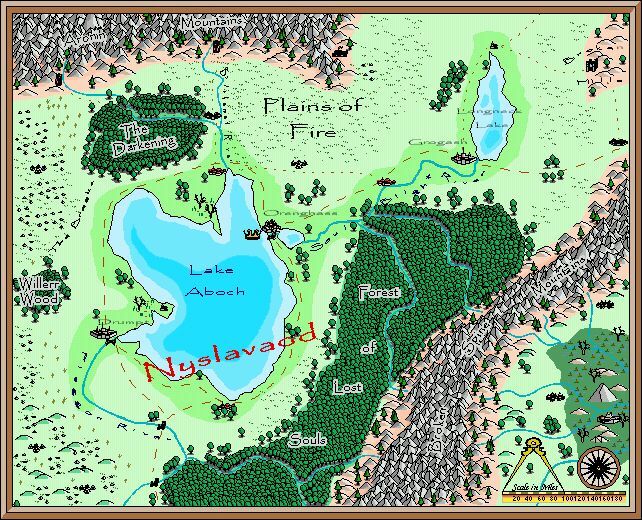 Isolated from the rest of Breminor by the Broken Spine Mountains, Nsylavadd is home to those evil enough to ally themselves with Amulon, and to those too hopeless to leave. Page last updated on 02 October 2000.